Furthering the discussion on how detection in depth works, here is an example that folks have been asking me to demonstrate. This is a diagram that shows an asset, in this case PII in a database that is accessed via a PHP web application. 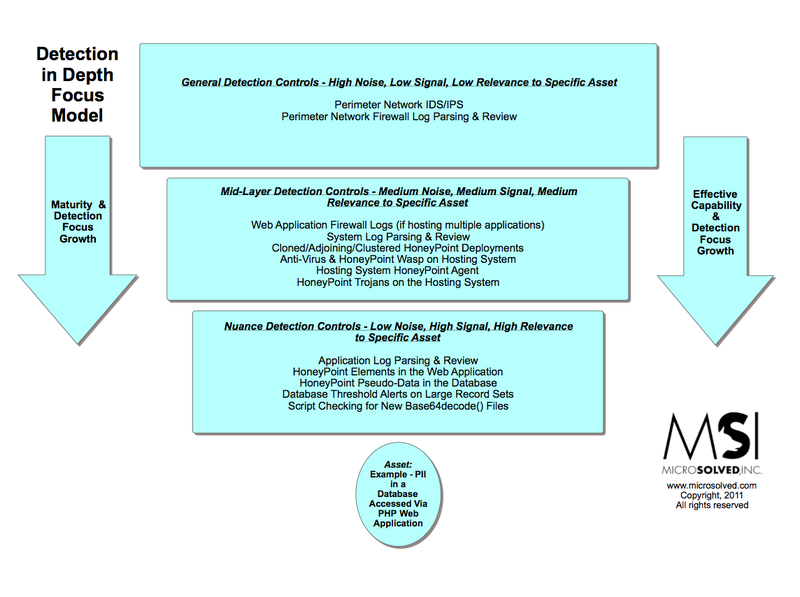 The diagram shows the various controls around detection in place to protect the data at the various focus levels for detection. 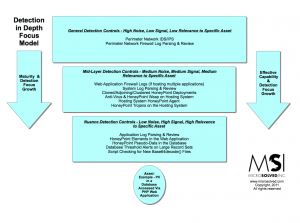 As explained in the maturity model post before, the closer the detection control is to the asset, the higher the signal to noise ratio it should be and the higher the relevance o the data should be to the asset being protected (Huston’s Postulate). Hopefully, this diagram helps folks see a working example of how detection in depth can be done and why it is not only important, but increasingly needed if we are going to turn the tide on cyber-crime. As always, thanks for reading and feel free to engage with ideas in comments or seek me out on Twitter (@lbhuston) and let me know what you think. This entry was posted in Detection in Depth, General InfoSec and tagged Depth Detection by Brent Huston. Bookmark the permalink.